A recent study by Constant Contact reveals that almost 40 percent of UK small and mid-sized enterprises are using social media to market their business. The mathematically-minded among you will have already calculated that those figures suggest more than 60 percent of SMEs aren’t. Increasingly, I’m being asked by sole traders, small firms and quite large organisations to ‘sort out’ their social media for them. This could be anything from setting up a Facebook Page to teaching them how to generate business leads from social media, and devising campaigns for them. 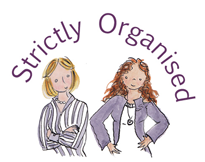 This week I did some work for Kirsty and Sammy at Strictly Organised, the first choice for providing innovative solutions to help you streamline and simplify those mundane everyday tasks that are your time-stealers and money-wasters. Within an afternoon I took them from virtually no social media presence to having their own Facebook Page, Google + Page, Twitter account and WordPress blog. Please go and follow them (details below) – I promise you it will be worth it! So now they have the tools to engage with customers and prospects by social media; but more importantly they know what to do with these tools – they are working up an integrated social media campaign that will win them new business. I love social media. The tools are, in the main, free to use and your social media strategy need not be time-consuming. Unless you are using, say, Facebook as your main platform for conducting business, I reckon on an hour a week for most small businesses. If you’re among the 60 percent who haven’t started using social media as part of your marketing strategy yet, I’ve written a free guide that will help you. What Are You On? 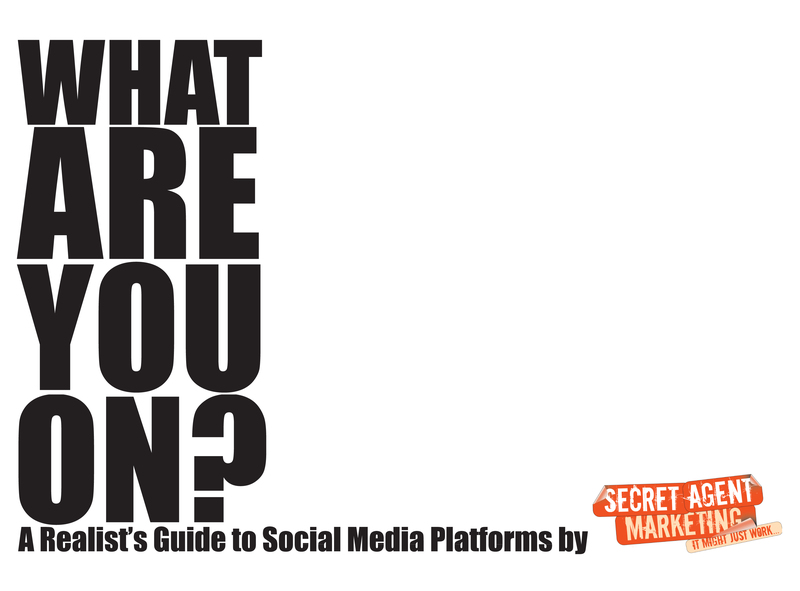 A Realists Guide to Social Media Platforms is just that – a guide to what’s out there and why you should be using it. If you want a copy you’ll have to come and ‘like’ Secret Agent Marketing on Facebook. Liking Secret Agent Marketing on Facebook is a great way of ensuring you don’t miss our brilliant free marketing tips. Don’t worry, we won’t bombard you with drivel on about our personal lives – we keep that for people daft enough to have sent us personal Friend requests. When you’ve ‘liked’ Secret Agent Marketing, either leave your email address on our Facebook Page or, if you’d rather, drop me an email and I’ll send you the guide. Alternatively you can email me at agentpete@secretagentmarketing.com or phone on 01672 811515 or 0781 717 8549. Strictly Organised will be issuing tips about how to organise your home and work life to be happier and more productive. This entry was posted in Marketing tips, Social Media. Bookmark the permalink.